The TrainingConnections team are workforce solution professionals with many years of experience in industry, education and labor. Founded by Cheryl Reed and Mike Porter in 2006, TrainingConnections was borne out of a need to bring together education and training expertise to help employers’ solve skill gap and training issues. 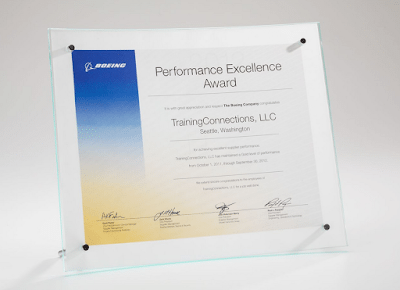 TrainingConnections, LLC is a recipient of a Boeing Gold Performance Excellence Award for every year between 2009 - 2013. TrainingConnections, LLC is one of only 153 suppliers to receive the Gold level of recognition achieving this status for five consecutive years. When notified about the 2013 Excellence Award, TrainingConnections, LLC Manager, Mike Porter, commented, "TrainingConnections, LLC strives to continually support Boeing programs with the highest quality service. To receive this Boeing Performance Excellence Award is a great honor and is a tribute to the dedication and commitment of the TC employees that provide career advising and instructional design services to the Boeing Company. We look forward to the future and our continued role as a Boeing supplier." As the founder and manager of TrainingConnections, LLC Mike brings more than 25 years of labor and management experience to developing workforce solutions. Known for his creative problem solving abilities, Mike works with clients to create customized workforce initiatives. Zeiger Hanson uses labor market data, economic trends and job task analyses to create curriculum and training programs that meet workforce needs. She has private sector experience as a Chamber of Commerce director in addition to more than 15 years of policy and program development for K-12, college, university and proprietary education systems, focusing on economic development and workforce training. Zeiger Hanson holds a B.A. from the University of Washington and a M.Ed. in student development administration from Seattle University. Take the guess work out of forecasting and planning for your future workforce. TrainingConnections will work with you to design a customized plan for meeting your company's need for highly skilled, effective employees. Whether you are starting from scratch or taking your company to the next level, TrainingConnections has the expertise to get you there. Do you need your employees to be trainined for new skills and processes? Are you looking for cutting edge training that will ensure that your workforce is ahead of the curve? TrainingConnections, LLC has connections and relationships with colleges and universities in Washington and across the country. This means that you don't have to sort through the maze of education and training options to find the right solution for your company. The most current research and knowledge can be brought into your organization. 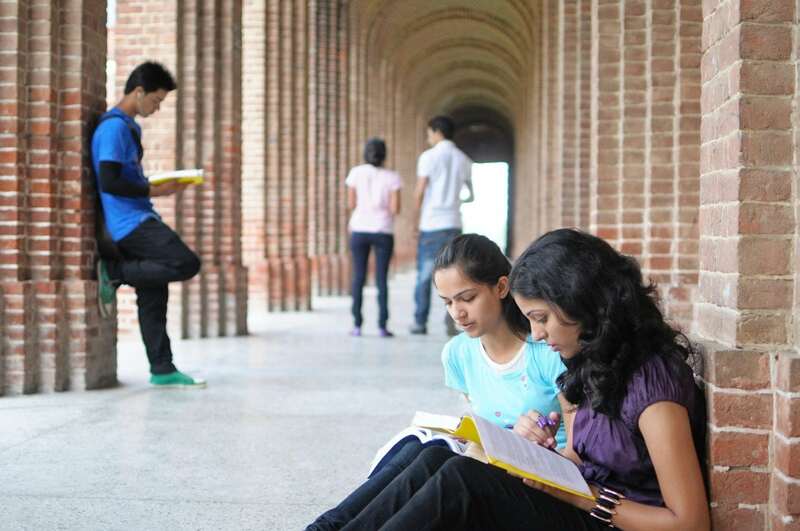 Programs offered by colleges can be customized and developed to meet your hiring needs. Let TrainingConnections, LLC link you directly to the right education resources in your community. The outcome will be a workforce that is trained to deliver results for your company. If you are looking to hire top-notch, high level professionals in your organization, TrainingConnections, LLC can help you find the right people. TrainingConnections, LLC provides strategic staffing solutions. We are in the brains business - let us bring high skills and learning solutions to your company. For the first time in US history, there are four generations in the workplace at once. If not managed intentionally, this mix of generations can lead to miscommunication, inefficiencies and friction between employees. Being effective at leveraging the strengths of each generation is a skill that will make or break an organization in today's marketplace. 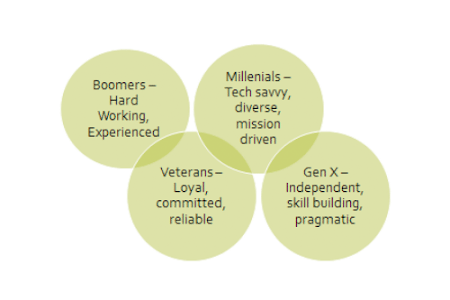 The TrainingConnections team can help your organization to build teams that work effectively across generations and that broaden your reach across the generations in your customer base.